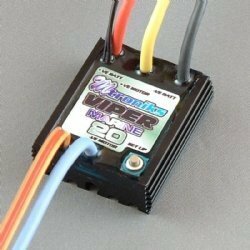 The Viper RV11 is a Brushed Speed Control designed specifically for use in RC cars. The RV11 has an 11 turn motor limit and has forward, Brake and Reverse functions. 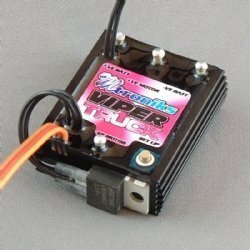 The Viper RV11 is a Brushed Speed Control designed specifically for use in RC cars. 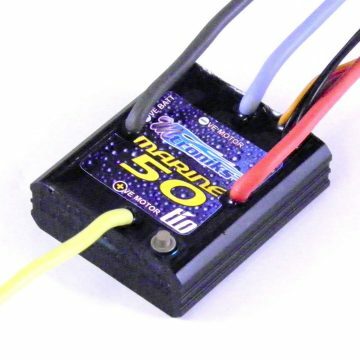 The RV11 has an 11 turn motor limit, what this means is that you can use any ,DC Brushed 540 size motor, as long as the number of turns on that motor are equal to or higher than 11. 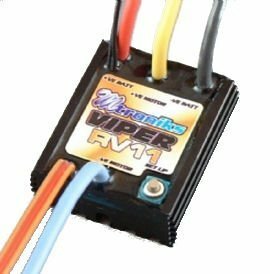 The RV11 is the perfect speed controller for anybody wanting to upgrade their old Speed Controller for a no nonsense 11 turn limit reversible electronic Speed Control allowing you to run any motor up to and including a 11 turn modified motor. 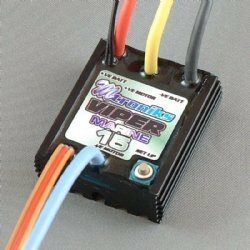 The RV11 is the next in line in the Viper range of Speed Controls after the RV15, which means it has all the same amazing features that you get on the rest of the Viper range and on other, more expensive Speed Controls! Features such as adjustable brakes, adjustable reverse functions and a built in failsafe are standard on this Speed Control.